Yesterday, the 2008 Batmobile DLC debuted for Batman: Arkham Knight, bringing with it the fan-favorite Tumbler from The Dark Knight and two tracks themed after the trilogy of Christopher Nolan films. A notable thing missing from the pack, however, was the inclusion of a skin of Christian Bale’s Batman suit from the film, but game director Sefton Hill has taken to Twitter (via IGN) to reveal that due to fan demand, it’s coming! 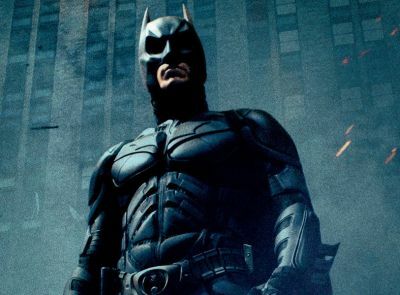 Bale’s Batsuit famously went through a change between 2005’s Batman Begins and 2008’s The Dark Knight because of restrictions to the mobility of his head and neck, which was in turn written into the script. Which of the two costumes do you prefer? Sound off below! Batman: Arkham Knight brings the award-winning “Arkham” trilogy from Rocksteady Studios to its epic conclusion. 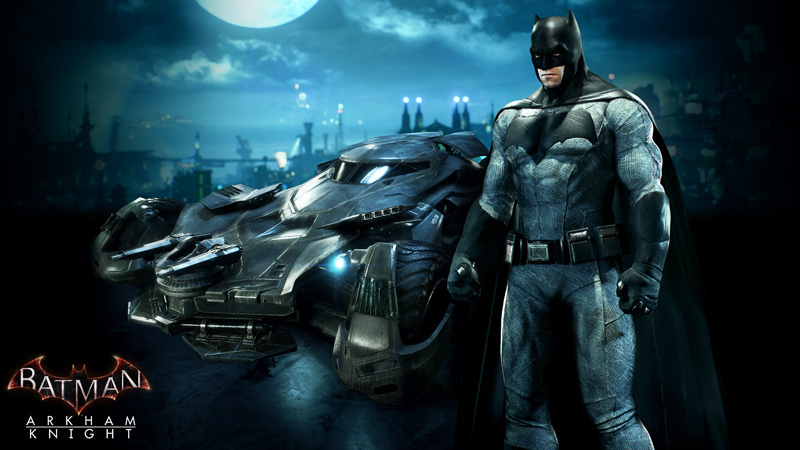 Developed exclusively for new-gen platforms, Batman: Arkham Knight introduces Rocksteady’s uniquely designed version of the Batmobile. The highly-anticipated addition of this legendary vehicle, combined with the acclaimed gameplay of the Arkham series, offers gamers the ultimate and complete Batman experience as they tear through the streets and soar across the skyline of the entirety of Gotham City. In this explosive finale, Batman faces the ultimate threat against the city that he is sworn to protect, as Scarecrow returns to unite the super criminals of Gotham and destroy the Batman forever. Available now on PlayStation 4 and Xbox One, you can order your own copy of Batman: Arkham Knight by clicking here.